T.I. was maxing and relaxing when he had to take a pause to clap back at a sour fan who said the rapper had only two good songs in his music repertoire over the past 18 years. The Atlanta rapper, whose real name is Clifford Harris, was lounging in a huge pool with his youngest daughter Heiress and didn’t take kindly to that shady comment and decided to school the fan while on Instagram Live about his success. And he flossed a bit too, showing off his fabulous home and the big ol’ pool that he took time out to take a dip in, mid-day. Drake even hopped on T.I. page’s to offer support saying: “I think he meant two many good songs,” the rapper said. The rubberband man (can’t forget that jam) also has secured three No. 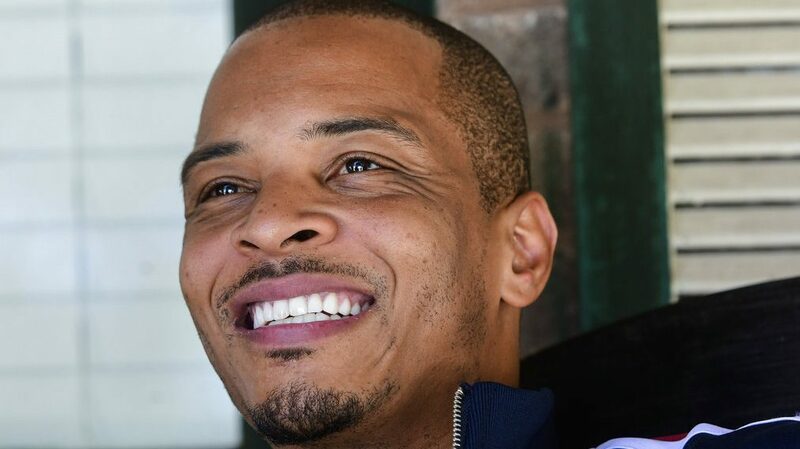 1 albums on the Billboard 200—Paper Trail, King, T.I. vs. T.I.P.. And he’s had two No. 2 albums too – Trouble Man: Heavy Is the Head and Paperwork. Give the man credit where it’s due and don’t be a hater.